Our practice is dedicated to providing compassionate & quality care of our medical and surgical dermatology patients. We built our practice on the delivery of exceptional care one patient at a time. We want to create a warm and welcoming environment where patients are comfortable entrusting their care to us and referring their family and friends. We know that your skin health is linked to your overall health. As part of your preventative skin care, we offer a total body skin examination to screen for skin cancers. Dr. Wang specializes in medical and surgical dermatology and has particular expertise in the diagnosis and management of skin cancers. Dr. Wang graduated with an A.B. in American Studies and English from Georgetown University and a J.D. from Georgetown University Law Center. She received her M.D. from the University of Chicago Pritzker School of Medicine and completed her internship in Internal Medicine and her residency in Dermatology at the University of Chicago Medical Center. Dr. Wang has been a Board Certified dermatologist since 2004. In Boston, Massachusetts, she was Assistant Professor of Dermatology at Harvard Medical School, Associate Physician in the Department of Dermatology at the Brigham & Women’s Hospital, Clinical Director of the Center for Cutaneous Oncology as well as Leader of the Merkel Cell Carcinoma Program at the Dana-Farber Cancer Institute. Dr. Wang also served on the Non-Melanoma Skin Cancer Panel of the National Comprehensive Cancer Network where she wrote guidelines for the management of both common and rare skin cancers. In 2011, Dr. Wang returned to her home state of Maryland and joined the staff of Mercy Medical Center. Dr. Wang brings unparalleled focus in cutaneous oncology. She has authored numerous publications and spoken nationally in her area of expertise. Dr. Wang is a member of the American Academy of Dermatology (AAD) and Maryland Dermatologic Society (MDS). 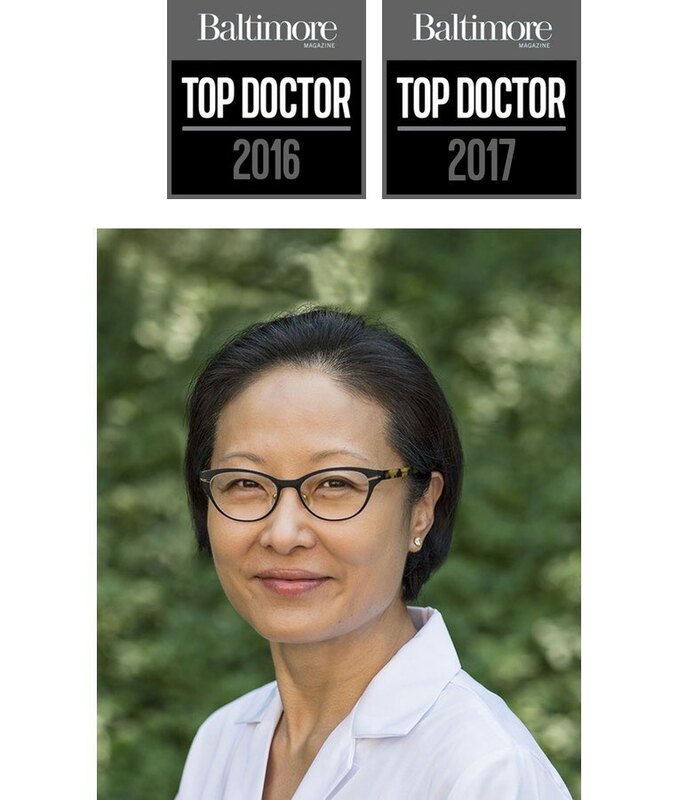 Dr. Wang was one of only a handful of medical dermatologists named “Top Doc” by Baltimore Magazine in 2016 and 2017. Our office is closed on New Year’s Eve, New Year’s Day, MLK Day, Presidents’ Day, Good Friday, Easter Monday, Memorial Day, Independence Day, Labor Day, Rosh Hashanah, Yom Kuppur, Thanksgiving Day, Day after Thanksgiving, Christmas Eve and Christmas Day. Our office will close in the event of severely inclement weather. Please check our outgoing message at (443) 288-1870 for an announcement. To expedite check-in, please print and complete these forms and bring them with you to your appointment. Our office is conveniently located just North of the Beltway on York Road in Lutherville. © 2017 Linda C Wang, MD, LLC.